From its position high above a steep slope to the River Boyne this C15 D'Arcy hall-house commands fine views of the surrounding countryside. There is also a cemetery within its grounds. 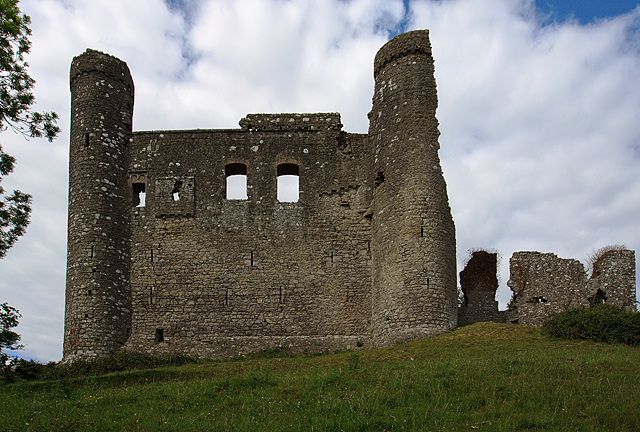 There were four corner turrets at one time, two having been destroyed along with the entire curtain wall on the landward side. Presumably this occurred in 1649 when the castle suffered bombardment under Cromwell. Unusually there is good public access with little effort required to view it. It is located northeast of Navan and stands above a steep bank that descends to the north bank of the River Boyne below Ardmulchan House.